This entry was posted on January 6, 2014 at 5:12 am and is filed under anthropomorphic, furry, strange happenings, television, unexplained, unidentified, weird. You can subscribe via RSS 2.0 feed to this post's comments. 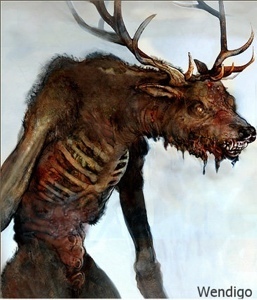 The Michigan Dogman sounds like a bipedal version of those Black Dog sightings that are so prevalent (*) in British Isles folklore. And which will probably be covered, at greater length, in next week’s telecast. I know. In some Euro-folklore, however, the two appellations kind of overlap. BD & HH, I mean! 16 years fire dept in the holly area, close to dispatchers, police, and growing up in the area. the tv show was the 1st. i have seen things when stationed in another state. but think the dogman thing is crap.